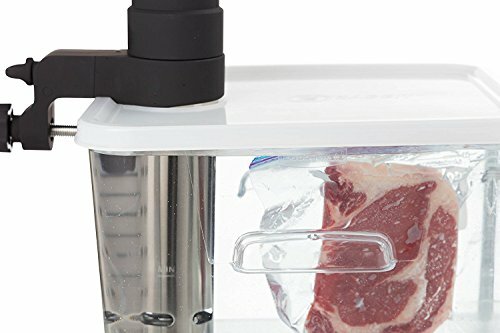 The Zaggit Sous Vide Cover was specially crafted to enhance your Anova cooker cooking experience and raise it to the next level. 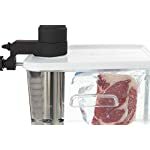 By eliminating the common frustrations associated with the Anova cooker and adding some unique advantages, the Zaggit Sous Vide Cover is the best purchase you can make! When using the Anova cooker, precise temperature is of paramount importance in acquiring the desired outcome. 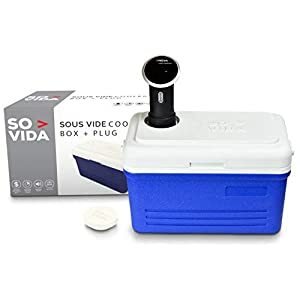 When using the Zaggit Sous Vide Cover, the flexible lid made of soft durable plastic securely seals onto the container effectively locking in the heat at the desired temperature. The airtight fit also prevents heat from escaping the container throughout the cooking session. 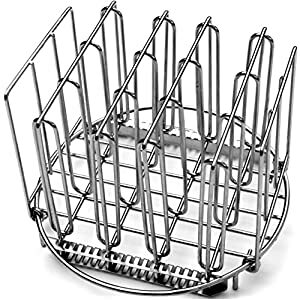 The lid solves yet another common bother well-known to the experienced Anova cooker user. 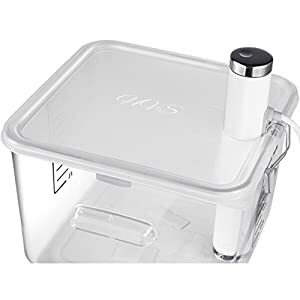 Using the Zaggit Sous Vide Cover will eliminate evaporation from your sous vide container. Just imagine not having to get out of bed again to refill your water supply! 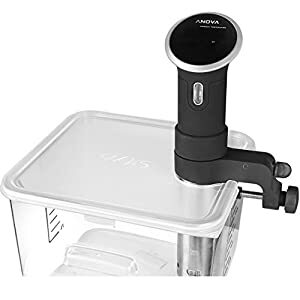 Once you set up your Anova precision cooker with this secure lid, you can rest assured that the water level will remain fixed throughout the entire cook time ensuring foolproof results! The BPA free lids were designed to be a compatible fit to all 12, 18 or 22 quart Rubbermaid containers. 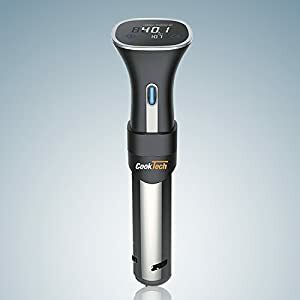 With our 100% satisfaction money-back guarantee you now have a cost effective, premium quality solution to all your Anova cooker troubles. 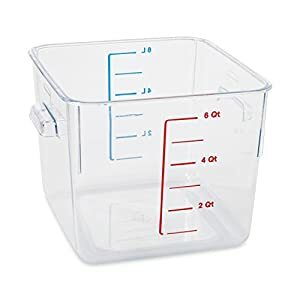 For all you conscientious parents out there who worried about leaving an open container of high-temperature water on your kitchen surfaces, worry no more! 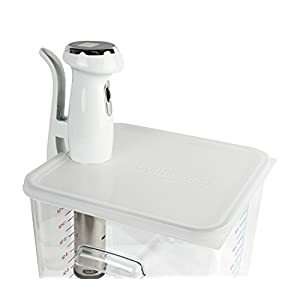 Our lids latch securely onto your cooking containers closing it off completely. WARNING; keep out of children’s reach. contain high- temperature. Only the lid is included, the container and ANOVA cooker are for presentation purpose. 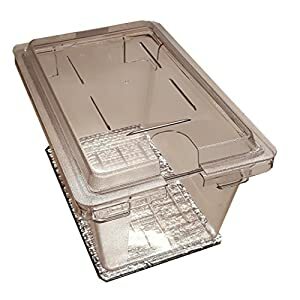 Designed exclusively for the ANOVA cooker, this uniquely fashioned lid fits all 12,18, & 22 Qt Rubbermaid containers. 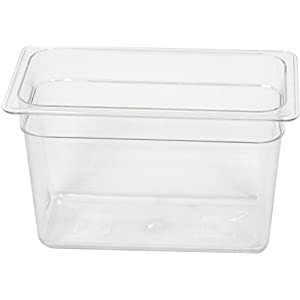 Securely seals on container to prevent water from evaporatong during long session or overnight cooking. No need to ever get out of bed again to add water! Our BPA free lid is made of flexible low density material that clamps vacuum sealed bags securely to the container to prevent bags from swimming in the bath.